Today is Document Freedom Day! What is Document Freedom Day? 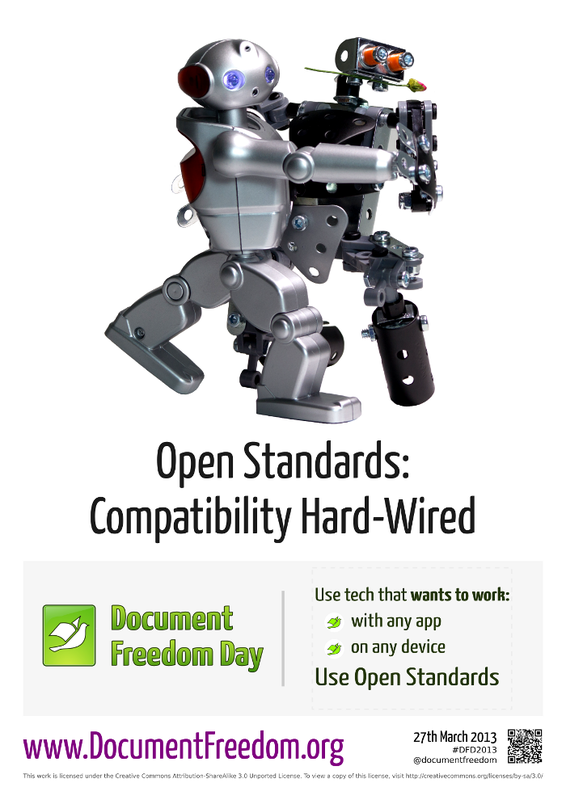 It is a day for celebrating and raising awareness of Open Standards and formats which takes place on the last Wednesday in March each year. On this day people who believe in fair access to communications technology teach, perform, and demonstrate. Documents that are free can be used in any way that the author intends. They can be read, transmitted, edited, and transformed using a variety of tools. Documents that aren’t free are locked to some particular software or company. The author cannot choose how to use them because they are controlled by technical restrictions, like a powerful car that is artificially restricted to 30 km/ph. Is it just about documents? No! Freedom to control your creative work is about more than just essays and spreadsheets – Document Freedom is about all forms of data, including artwork, sheet and recorded music, emails, and statistics. These can be stored in ways which empower users, but they can also be stored in formats which constrain and manipulate us at enormous cost. Remember when you were sent an important file that your computer couldn’t read properly? Remember having to buy or download a new application just so you could open an attachment that you needed for work? Incompatibilities like this are usually caused by ways of storing information that are secret (‘closed’), and privately owned (‘proprietary’). They cause huge problems for people, companies, and governments, and cost society an awful lot in creativity, productivity, and efficiency. Incompatible standards are used to manipulate markets and allow companies to charge people huge fees simply for the privilege of accessing their own data. Closed standards are also the basis of the worlds worst technology monopolies. Example: Your usual word processing app can’t open a file made by one of your colleagues. You have to buy or download a new word processor made by the same company as theirs so that you can open the file, even though you’ve already got one that you prefer. Standards should be Open during transmission as well as storage, and interfaces and protocols are just as important as data storage formats. Think of a letter – it cannot fulfil its purpose unless its address can be read, and its envelope can be opened. Similarly a message sent online can be read only if it uses a recognised protocol (address) and contains data that can be read (envelope). Often companies use an Open Standard protocol for sending data in a closed format, like Adobe Flash streaming videos in proprietary Flash Video format over the Open HTTP web protocol. Freedom requires both aspects to be Open, however. They are formats which everybody can use free of charge and restriction. They come with compatibility “built-in” – the way they work is shared publicly and any organisation can use them in their products and services without asking for permission. Open Standards are the foundation of cooperation and modern society: train tracks, power sockets, and natural language are all examples of specifications that we all rely on and take for granted. Imagine if speaking English required permission and a license fee – society would be backward and chaotic. Read more about Open Standards and what defines them. You can participate by organising activities in your home town, distributing fliers, organising talks, adding a banner on your blog, donating money, and much more. Get involved! 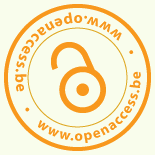 Next Next post: Catch up on your OA reading during Easter Break!